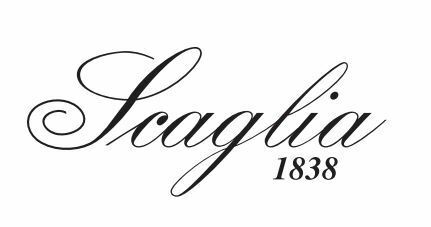 Scaglia group of today was born in 1838, when we started to manufacture wooden bobbins for the textile industry. From this distant beginning, we have grown into a diverse group of companies providing a wide range of product solutions. We continue to support the textile industry through SCAGLIA S.r.l. now using modern materials including polymers and light alloys. Power transmission components and motion control solutions come from SIT S.p.A. and SIT Automation. 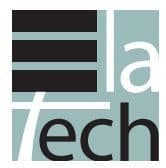 ELATECH S.r.l. is responsible for the design and manufacture of polyurethane belts. Ten years ago, the materials handling and industrial manipulator interests were brought together under the INDEVA banner. Across the Group, today owned by the Scaglia family, our focus in on continuos innovation and development using leading edge technology in material research, mechanics, pneumatics and electronics. With a team of 800 employees, a broad network of subsidiaries and distributors in Europe, America and Asia we support our customers providing first class support and services all around the world. Click here to download the PDF with Scaglia Group presentation. Etablished in 1838, is the world leader in production of textile accessories, including aluminium and plastic alloy yarn carriers such as flanged bobbins, tubes, cylinders and cones. The range of products also includes yarn waste removing machines, as well as a service division for the sale of spare parts (mechanical and electrical components) and assistance suitable for Tsudakoma® air/water jet looms. Since 1968, manufactures and sells the widest range of belts ans pulleys for friction and synchronous drives, keyless self locking units, gear and backlash couplings and motor bases, standard and according to customer specifications. Ranging from long length open end rolls to welded or ELA-flex SD truly endless timing belts and iSync sleeves, and completed by a wide choice of mechanical joints, false teeth, backings,cleats and other accessories, ELATECH’s Polyuretane belts provide the most extensive offer available on the market. 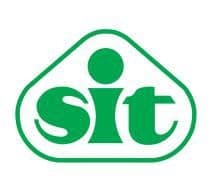 SIT Automation aims to provide machine manufacturers complete, custom and reliable solutions for mechatronics applications. Our on-site warehouse is full of ready-to-ship components from our trusted suppliers. We are the Italian official distributor of Delta Electronics, and we are partners of Trio Motion Technology – U.K., Shaffner and IC electronics. With an increasing international network of subsidiaries and qualified distributors, SCAGLIA INDEVA can support both local requirements and those from customers operating on a global basis. Scaglia INDEVA also deisgns, manufactures and delivers modular structures made with INDEVA LEAN SYSTEM® components and AGV based solutions. Together with our Intelligent Devices for Handling, SCAGLIA INDEVA can provide the complete answer for Lean Manufacturing applications.